No noisy electronic toys here. We believe kids learn best from their own dramatic play. 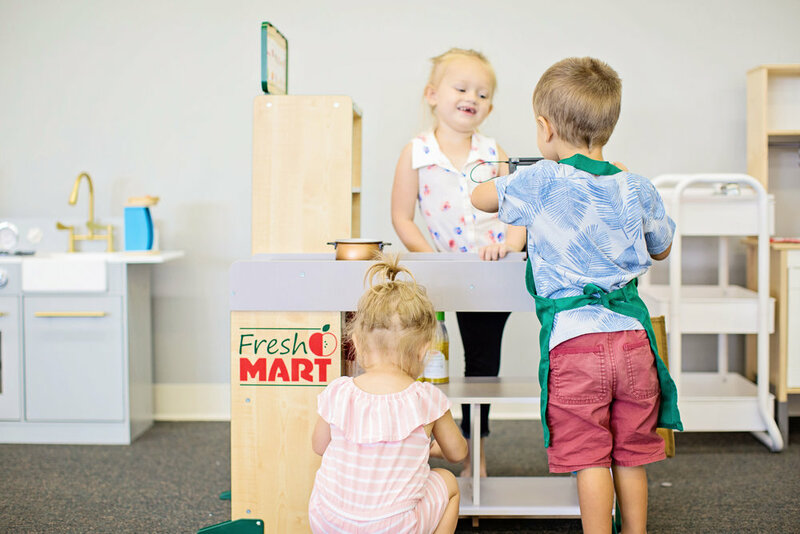 Our activities are geared toward fine motor skills, language development, social skills, creativity, and more. What's there to do at cloud 9? Our central enclosed baby area helps parents keep an eye on little siblings and big siblings at the same time. A favorite for pretend play. Countless hours of engineering fun.